I love to snack! It’s what gets me through the day. As I started eating healthier and watching what I eat, I tried to limit the number of snacks I have in a day, or at least make sure they’re better for me. 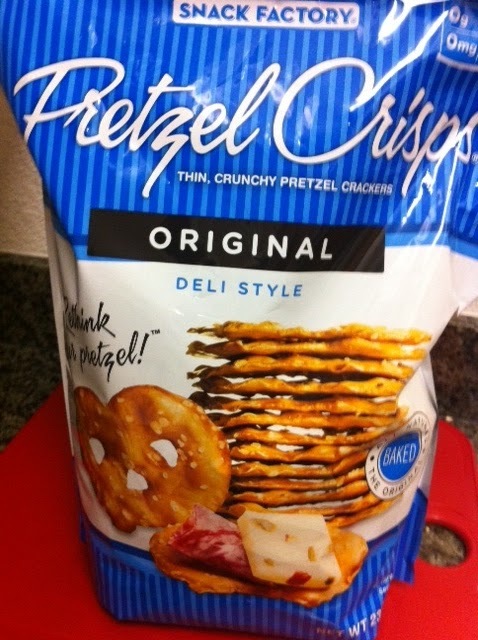 Pretzel Crisps are AMAZING, I dip them in everything! 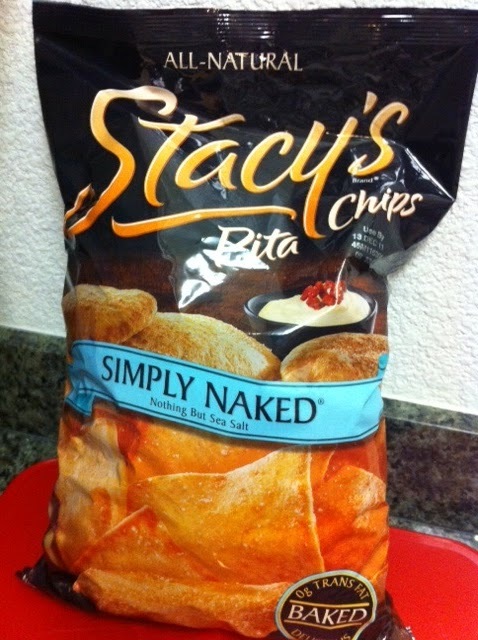 Pita Chips are my absolute FAVORITE! Dipping them in guacamole is my favorite snack, try it, you won’t regret it. 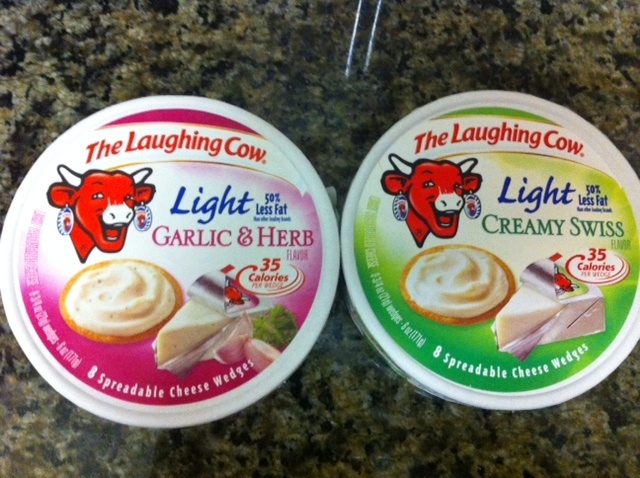 Laughing cow cheese, or any cheese for that matter, is a staple in my diet. Good for me and tastes delicious? YES PLEASE! 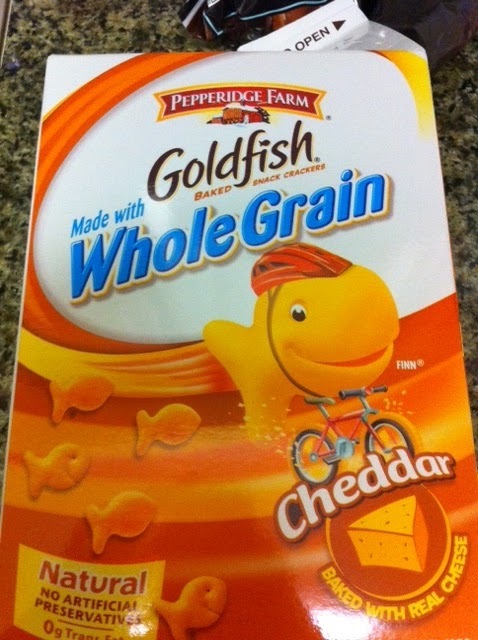 Goldfish are like crack to me, I can’t stop eating them, hence the jumbo size box. 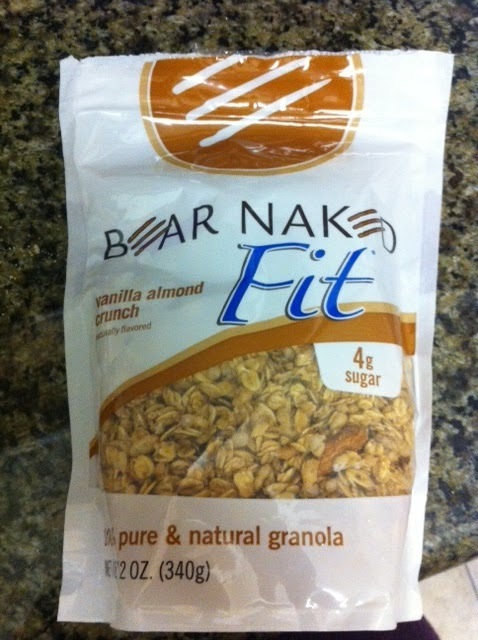 Granola is new addition to my diet and I’m learning to like it. Sometimes I wish it was sweeter, but its definitely growing on me. 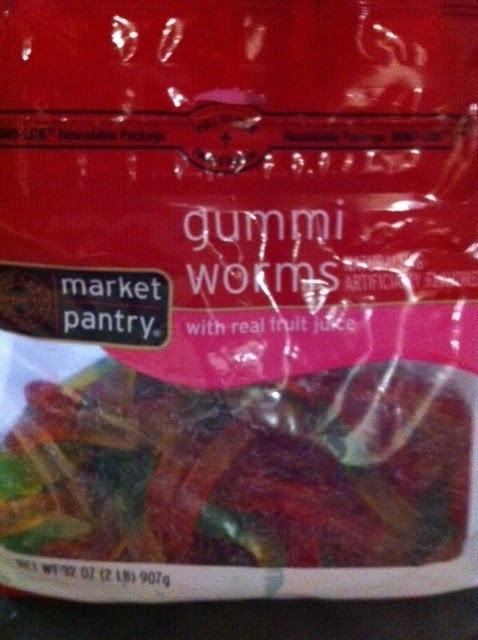 Anything gummy does the trick, I happen to have gummy worms right now, but I like gummy bears the best. 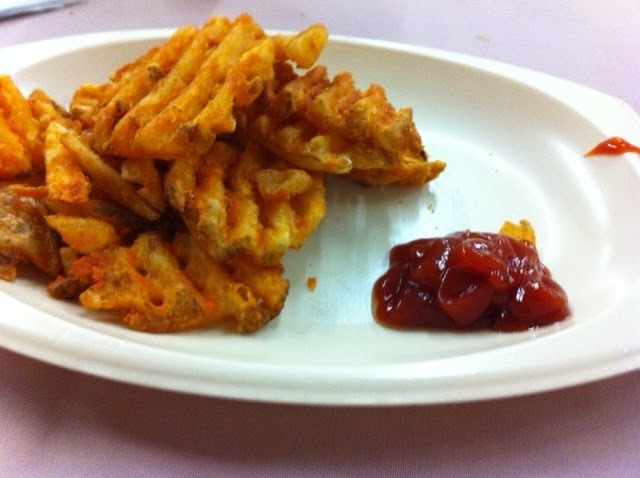 Waffle french fries with seasoned salt? YESSSSS. I love french fries, almost as much cupcakes. 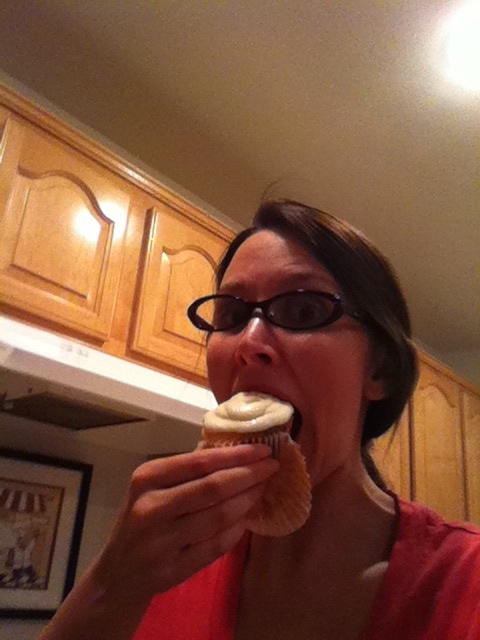 Oh yeah, you may remember this pic from my recent cupcake and sangria blog. I could literally live on a cupcake diet, but I try not to keep them around, to keep this from happening many times in a day! What snacks do you enjoy, healthy or unhealthy? ?